Job Title: BMS Commissioning Engineer Location:Glasgow Salary:£35k - £42k basic plus great benefits The Opportunity Bluefire Consulting are recruiting for a BMS Commissioning Engineer to work for a large energy management company who are looking to increase their headcount following a massive investment. The organisation believe in providing an excellent service for their customers and reward hard work with increased development and progression opportunities. 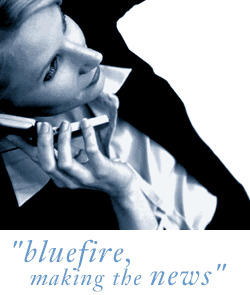 Bluefire Consulting are recruiting for a BMS Commissioning Engineer to work for a large energy management company who are looking to increase their headcount following a massive investment. The organisation believe in providing an excellent service for their customers and reward hard work with increased development and progression opportunities. As a successful BMS Commissioning Engineer you will be responsible for carrying out scheduled projects across a variety of sectors throughout Scotland, supported by the regional office in Glasgow. To be considered for the BMS Commissioning Engineer role you need to have previous experience working in a project commissioning environment with excellent knowledge of BMS systems such as TREND, Siemens or Tridium. An electrical engineering qualification such as HNC (or equivalent) would be viewed as highly advantageous. Additionally as the successful BMS Commissioning Engineer candidate you should have excellent communication and customer facing skills. As an industry-leading organisation the company have very high standards which employees are expected to uphold.